Milwaukee Smart combined meter MW802. 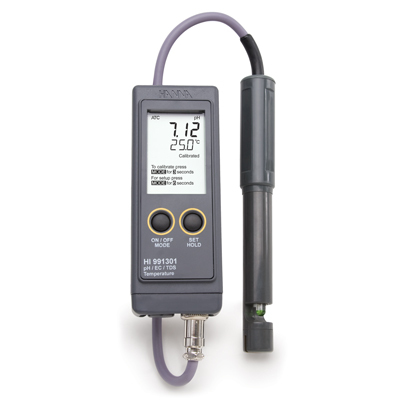 Features 1 m probe for pH, EC and TDS, Automatic temperature compensation. Manual calibration. 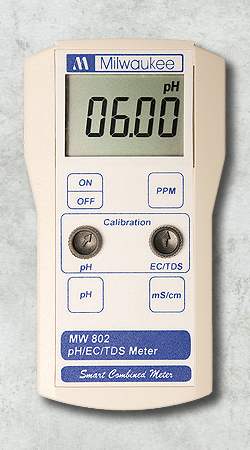 The MW802, with a conductivity range that goes up to 6.00 mS/cm and the TDS up to 4000 ppm is ideal for testing in crop production. TDS factor is 0.68. pH can be measured from 0.00 to 14.00.